Taking care of your axe involves three things. 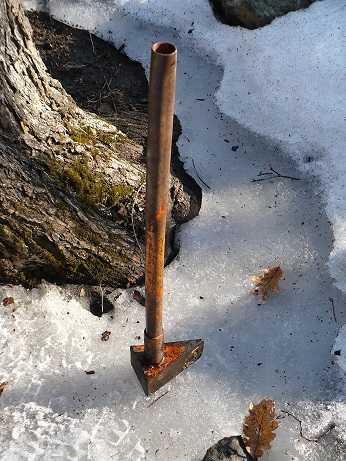 The first is that you need to ensure that your axe does not get damaged because of contact with the elements. Secondly, you need to ensure that your axe remains clean at all times. Thirdly, you need to ensure that your axe is properly sharpened and ready to use. 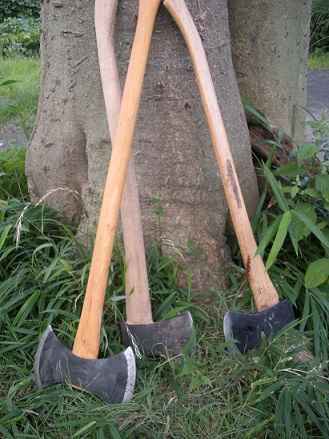 If your axe has a wooden handle then you need to take care of both the axe head as well as the handle. To protect both these parts you need to use some oil and coat both parts with it. Different axe owners have their own preferences regarding what the best oil or wax is. You can either use linseed oil (boiled) to take care of the handle or you can use gun oil on the axe’s head. Some people just use whatever oil they have in their homes and use it to take care of their axes. The good news is that it does not take much to protect the head of your axe. Just make sure that the head does not come into contact with moisture, as a wet head will easily rust. To protect the head you should apply a light coat of Vaseline and then after applying the Vaseline you can wipe it off. Vaseline easily enters the pores and has excellent staying power. To take care of the handle you will need to address two important aspects. The first is that you should keep the handle dry at all times and not allow it to get wet. A wet handle will rot away easily and hence you must ensure that it stays dry at all times. However, do not allow the handle to dry out as that will cause the handle to shrink and that in turn will pry the head loose. Most wooden handles are covered with lacquer or even with some paint. This helps to protect the handle. However, if you want to take care of your handle you can always also apply some olive oil on it. Allow the oil to be absorbed into the wood. After that apply some bees was on the handle. This will coat the handle and protect it. To clean your axe you will need to ensure that you do not use water or soap as both are not good for the axe. Simply apply some Vaseline on the axe and then wipe it off with a cloth or towel. This helps to get rid of the dirt. If you want to sharpen your axe then you will need to use some tools including a sharpening stone and a suitable file. 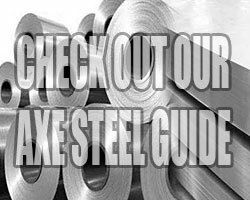 Use the file and start filing at one edge and apply as little pressure as possible. After the edge has been filed you can then use a sharpening stone and move it along the edge in round motions. Repeat this a few times and alternate between the two sides. There are other more unique ways of taking care of and sharpening your axe but this simple method has proved to be very useful. If you take good care of your axe it will function for a long time. Thanks for this. I usually use olive or hemp oils to take care of the wooden part of my Viking axe. I wasn’t sure if I’m not damaging the shaft. After a few years it’s still like new.